William Penn (1644–1718) played a crucial role in the articulation of religious liberty as a philosophical and political value during the second half of the seventeenth century and as a core element of the classical liberal tradition in general. Penn was not only one of the most vocal spokesmen for liberty of conscience in Restoration England, but he also oversaw a great colonizing endeavor that attempted to instantiate his tolerationist commitments in practice. His thought has relevance not only for scholars of English political and religious history, but also for those who are interested in the foundations of American religious liberty, political development, and colonial history. This volume illuminates the origins and development of Penn’s thought by presenting, for the first time, complete and annotated texts of all his important political works. Penn’s early political writings illuminate the Whig understanding of English politics as guided by the ancient constitution (epitomized by Magna Charta and its elaboration of English native rights). The ancient constitution symbolized, for Penn and other Whigs, a balanced governing relationship between King and Parliament, established from antiquity and offering a standard against which to judge the actions of particular Parliaments. The values of liberty, property, and consent (as represented by Parliament) provide the basis for Penn’s advocacy of liberty of conscience in Restoration England. 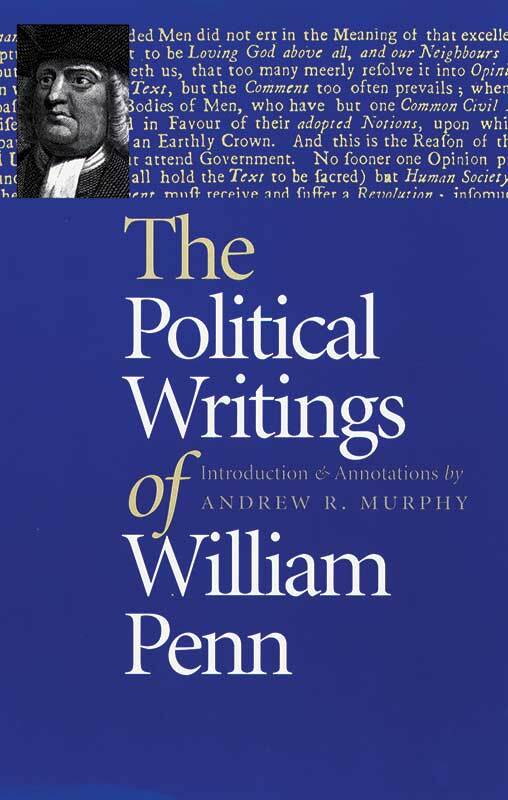 His social status, indefatigable energy for publication, and command of biblical and historical sources give Penn’s political writings a twofold significance: as a window on toleration and liberty of conscience, perhaps the most vexing issue of Restoration politics; and as part of a broader current of thought that would influence political thought and practice in the colonies as well as in the mother country.